Available now for immediate delivery, this 2016 Chris-Craft 22 Launch powered by a powerful Mercruiser 350MAG 300hp with under 50 hours! She is painted in the traditional midnight blue with a red bootstripe. 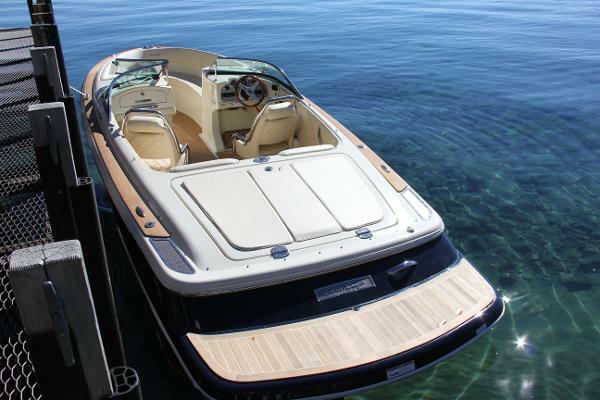 Other notable options include Heritage Trim Edition (No floor teak), DTS throttle system with integrated gauges, cockpit carpet, cockpit and bow covers, dual batteries, Sirius satellite radio and trim tabs. 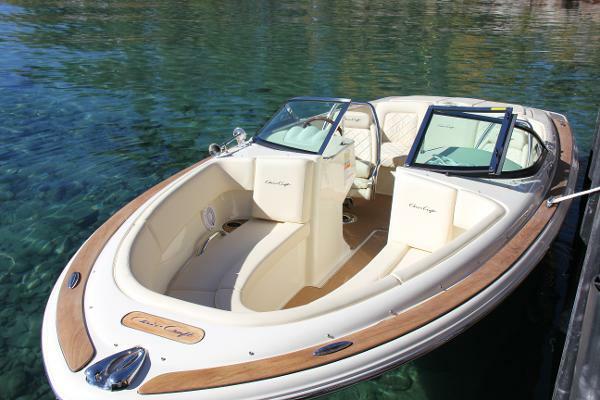 This boat is currently in our winter storage, please call today to reserve this boat for your family! Price includes a 2019 Custom tube frame tandem trailer built to match the blue hullsides on the boat. Trailer has swing tongue, LED lights, alloy wheels, 2-axle disc brakes, spare tire with built-in mount. This is a rare opportunity to score a Tahoe-Only 22 Launch with very low hours!